this is such a popular snack in India.. the vegetarian alternative to CHILLI CHICKEN and a must for all PANEER LOVERS!! Makes a great snack for parties or a great main course dish…. in a pan saute the garlic and when it turns color add the ginger,. take care not to burn, add the tomato paste and ketchup and the chilli sauces…. taste…it should be spicy sweet and sour…add the lemon juice or vinegar. then add some sping onions and green chillies ( optional). this is your sauce which can be made and kept. make the paneer as i taught u and cube it. heat the sauce verry well and then stir in the batter fried paneertill well heated. for a party the sauce can be made in advance and so can the paneer be fried, when you want to serve all u do is heat the sauce thoroughly and add teh paneer to it. can also be made with tofu…. if buying fresh tofu… it contains a lot of water…pls remove tofu and wrap in a kitchen cloth and keep in the fridge for a few hrs. then proceed as for paneer. 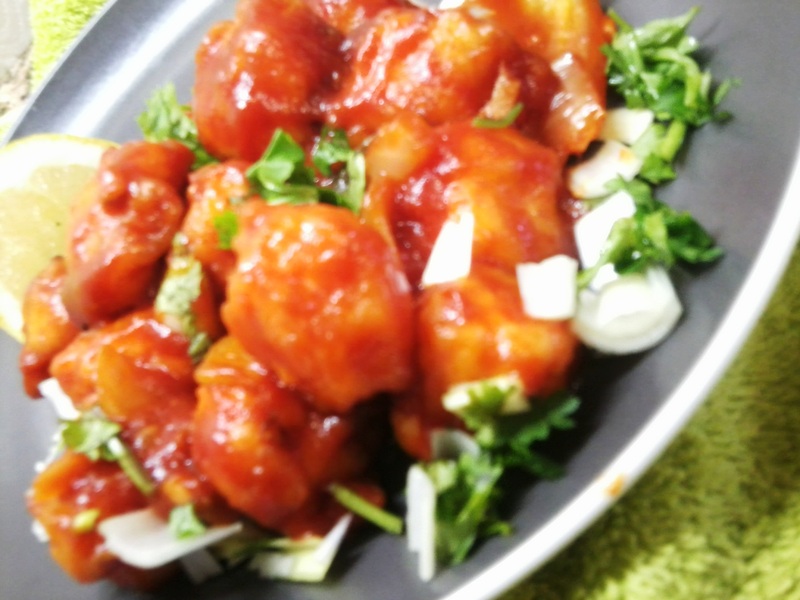 for chilli gobi…. par boil the gobi florets and then fry..
for chilli fish…. cut boneless fish into small cubes…marinate in ginger garlic, chilli sauce, soy sauce… and proceed to fry…same goes with chicken or prawns!!!! This entry was posted in Paneer and tagged chilli, paneer, snack. Bookmark the permalink.